Healthcare providers must be certified in the Vigabatrin REMS Program in order to prescribe branded Sabril or generic vigabatrin. The US Food and Drug Administration (FDA) has approved a single shared system Risk Evaluation and Mitigation Strategy (REMS) for all vigabatrin products, called the Vigabatrin REMS Program. The Vigabatrin REMS Program is required by the FDA to ensure informed risk-benefit decisions before initiating treatment, and to ensure appropriate use of vigabatrin while patients are treated. Clicking on the link below will take prescribers to the website that manages the process and contains the required vigabatrin REMS forms. 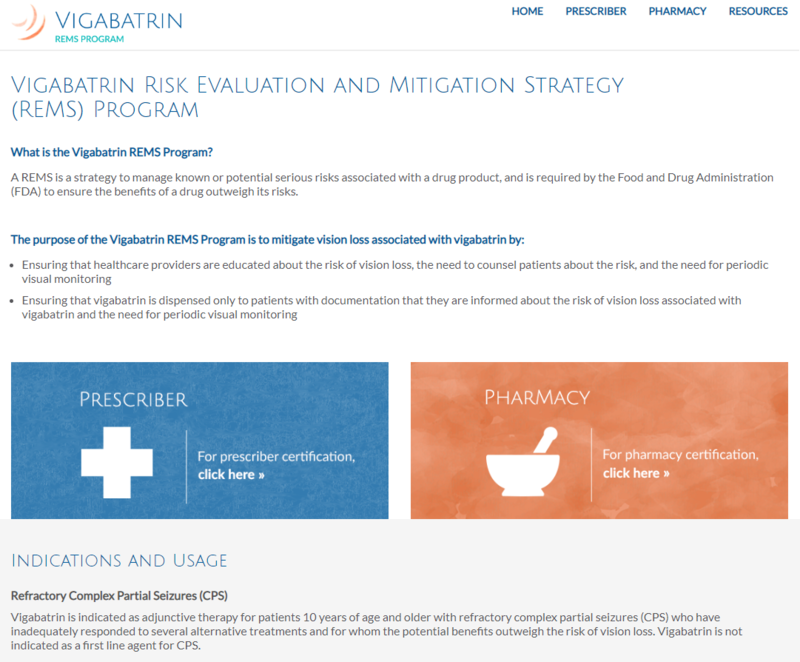 Note: Prescribers who have been enrolled in the Sabril REMS Program will be transitioned into the new Vigabatrin REMS Program without being required to recertify. New patients will need to be enrolled in the Vigabatrin REMS Program. Click the links below for access to the Sabril Prescription Form or access to the Complete Terms and Conditions for the Sabril patient support programs that may be available for eligible, commercially insured patients.